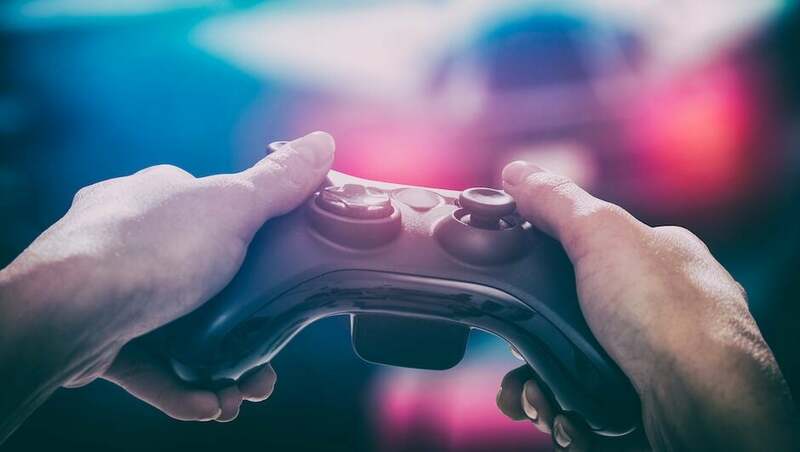 This year, a range of new contenders and ambitious innovations in video games technology could completely turn the gaming world on its head, shaking up an industry that’s lately felt a little too familiar. For almost twenty years, Microsoft and Sony have dominated the gaming landscape, with the Xbox versus PlayStation standoff fueling a consumer tech rivalry for the ages. Nintendo has happily played third wheel, though the success of the Nintendo Switch has assuredly brought it back into the fray. However, in the past few months, serious contenders such as Apple and Google have announced plans to take on the gaming industry with a bevy of unique ideas. Some of these are just crazy enough to work. Between gaming conferences and tech press events, the past few months have seen a whirlwind of gaming announcements. Among these are some with pretty serious implications for the future of the industry. Video game streaming services are hardly new. PlayStation Now, Jump, and EA Play are among a few iterations that have been pretty lackluster so far. The primary obstacle being latency and ease of use – get these wrong, and gamers won’t bite. To date, the various streaming platforms just haven’t been capable of keeping up with the high resolution graphics and complicated gameplay of the average title. Needless to say, you’ll need decent home internet speeds, too. 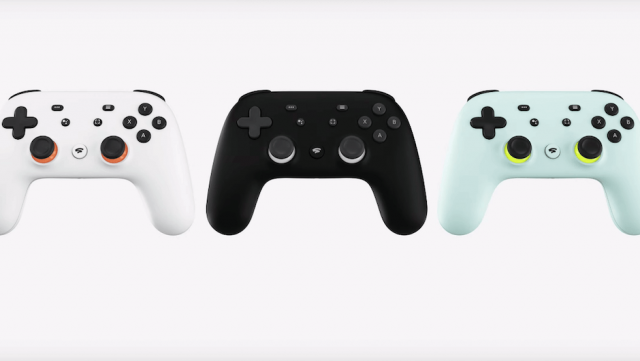 At the 2019 Game Developers Conference, Google decided it wanted in on the fun, and announced Stadia, a cloud gaming platform. If we’re taking the announcement at face value, this could completely change the gaming industry. Google claims it can instantaneously stream popular titles, such as Assassin’s Creed Odyssey and Doom Eternal, in 4K resolution at 60 frames per second with nothing more than an internet connection (25 Mbps or higher) and a Google device (Pixel, Pixel Slate, Pixelbook, or even a Chromecast). According to Google, users will be able to watch a game trailer on YouTube, click a button to access the game, and instantly be thrust into gameplay, ready to go. Latency problems? Fixed. Ease of use? Check. But that’s not all. Google is also looking to integrate the gaming world and the game-watching world into one platform. By providing a wide range of features aimed at developers and YouTube creators, Google is trying to turn gaming into an all-in-one experience, rather than the complicated mess it is now. With all this innovation from one of the world’s leading tech companies, you’d think consoles would be on their way out. But, Microsoft and Sony won’t go down without a fight in this new gaming landscape. With the ground shifting beneath their feet, Microsoft and Sony have been doing their best to adapt to the changing ways of the gaming world. Fortunately, game developers have done most of the work for them, with unique free titles such as Apex Legends and Fortnite driving a surge in popularity across the entire industry. However, Microsoft and Sony are going to have to think outside the box a bit more to stay relevant in this ambitious future. And at least one of them is making an effort. Last week, a report by Windows Central found that Microsoft is planning to launch a disc-less Xbox in May 2019. The console, which will reportedly be called the “Xbox One S All-Digital edition,” includes 1TBB HDD of storage and a few pre-installed games to sweeten the pot. Most notably, however, the new console will be without the Blu-ray drive – potentially dipping the price low enough to compete with cloud gaming services. With popular console titles such as PlayerUnknown’s Battlegrounds going mobile, it’s no surprise that even avid gamers are happy to play on their smartphones. After all, mobile makes up nearly half (47%) of the global games market. And one tech giant is happy to take advantage. In a recent event, Apple announced that, along with its new fancy credit card and star-studded streaming service, it would be launching Apple Arcade. This will be Apple’s own game streaming service, featuring online or offline gaming, playable on an iPhone, an iPad, a MacBook or even an Apple TV. 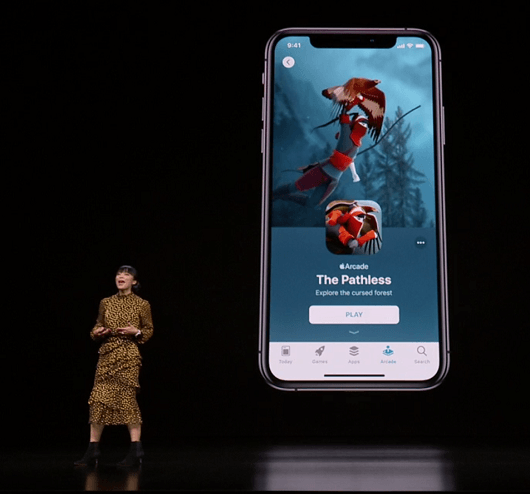 The platform also comes with 100 exclusive games – although no major titles outside of LEGO have signed on to make Apple their sole proprietor of content. It’s admittedly a very Apple move to go exclusive in the gaming world, and a bold one, too. Gamers have become particularly loyal to certain titles, and breaking into the market now without a lot of experience could be risky. While these new contenders in the gaming industry make headline news, there’s further gaming tech still waiting for a moment in the spotlight: virtual reality and augmented reality. Unfortunately, both are still a way’s off from achieving global success. Virtual reality gaming has been around in one form or another for decades. From the gigantic rigs in the 80s to the compact headsets of 2019, the immersive experience has always had a place in tech enthusiasts’ collective heart. However, VR technology simply hasn’t succeeded like everyone expected it to. So far, widespread popularity has been downright impossible to achieve. Even with low cost cardboard VR headsets you can use with a smartphone available pretty much everywhere, everyday consumers aren’t trying out for virtual reality on more than a novelty basis. But, the tide could finally turn once the technology gets good enough. 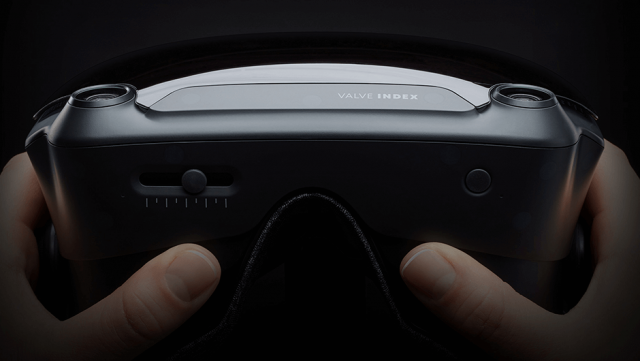 With new Oculus Rift and Valve Index releases on the horizon, virtual reality is poised to garner some positive attention from the gaming community. Between the external sensors allowing for safer use in living rooms, improved resolution for more immersive, authentic environments, and the inevitably positive effect of 5G networks on streaming content, VR’s slow climb towards popularity could actually pay off. On the other hand, it’s also possible that virtual reality is never going to be as popular as traditional gaming. Some users inherently feel uncomfortable, and even sick, strapping anything to their face for that long. Even with comfortable controllers and lightweight headsets, VR will never match the ease of use of a simple handheld controller. To use the old cliché, only time will tell if this ambitious technology will really take off. 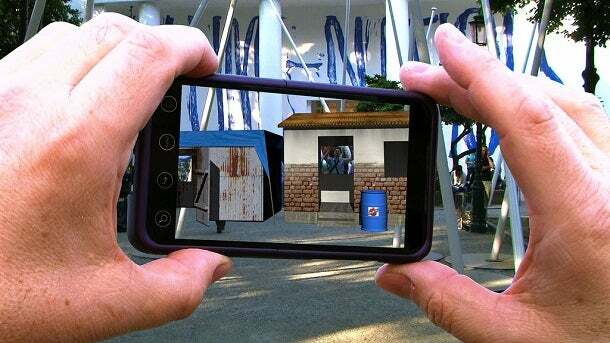 Unlike virtual reality, augmented reality has at least had spurts of popularity. Upon its release, Pokémon Go was one of the most downloaded games in app store history, and created a global movement that, however brief, saw millions of adults and kids taking to the street to catch digitally-imposed Pokémon on their smartphones with a little help from augmented reality technology. The popularity of Pokémon Go was notably short-lived, though. Many speculated that the surge in usage was fueled by nostalgia, rather than the innovative augmented reality technology. Still, AR gaming efforts continue relatively unabated, particularly when it comes to Apple. The company has done what it can to spur gaming movements with their ARKit, but none have had close to the widespread popularity of Pokémon Go. Pokémon Go is far from the only example of the gaming world’s weakness for nostalgia. For one, miniature former consoles from Nintendo and PlayStation have been selling like hotcakes for the past year. 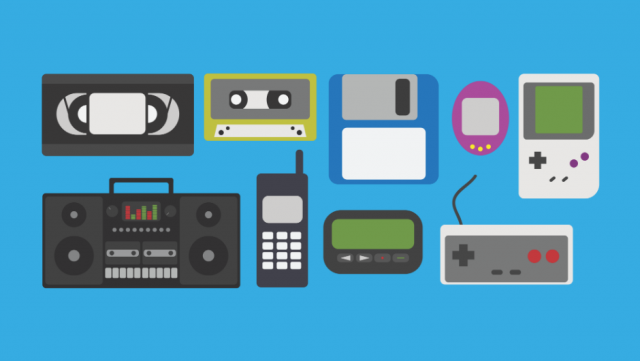 So much so, that back orders and sell outs became a burden for almost everyone interested in purchasing the nostalgic devices. Additionally, Nintendo launched its online service with a gaming platform featuring an ever-growing catalog of former games, drawing in even more older gamers to the innovative portable gaming console. In so many words, nostalgia sells, particularly in gaming. After all, as avid gamers continue to age, the consoles of their forgotten youth remain a glimmering chance to recapture the excitement of playing games for the first time. And, as long as gaming companies continue to take advantage of the virtually endless supply of marketable content hidden somewhere in their archives, nostalgia-fueled gaming isn’t going anywhere. The world’s 2.5 billion gamers are clearly at an exciting crossroads. While their options were relatively limited to a few admittedly choice devices and services, gamers will now reap the benefits of the business world seeing that a global market worth more than $100 billion is truly worth investing in. But, other than gamers, who’s going to win out? Realistically, it might not be that simple anymore. The gaming world has never had this many hats in the ring at once, and there’s no reason to think anyone of them will come out victorious. While we’ve been conditioned to think of the gaming industry as a zero sum game, pitting PC against console, Xbox against PlayStation, Nintendo against Sega, it’s possible that this new era of gaming will create a more integrated, communal experience that celebrates how far video games have come and how far they can go if we just play together. Either that, or a whole new era of aggressive rivalries between console players and streaming players, Google Stadia and Apple Arcade, VR users and AR users, and old gamers and new gamers will emerge. In short, the tech could change, but the tribalism could feel pretty much the same.